Surprisingly I managed to find something of particular interest in the wedding of Prince William and Kate Middleton today. 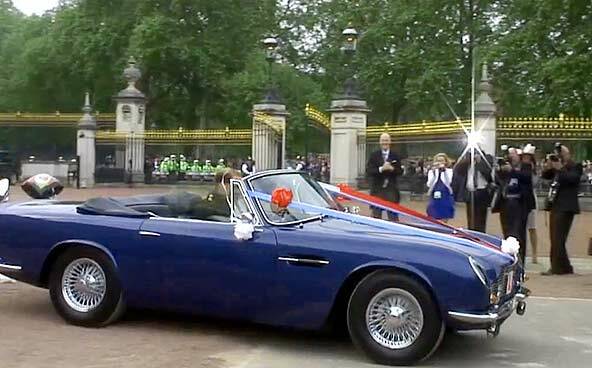 Following an impressive display of pageantry, the Royal couple left the afternoon reception at Buckingham Palace in a 1969 Aston Martin Volante Convertible owned by his father , Prince Charles. 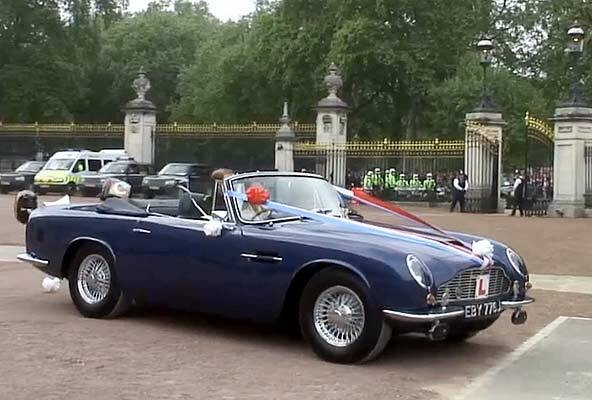 Now the bride is quite a looker, but to a happily married man with an interest in cars, that stunning blue convertible Aston Martin DB6 stole my breath away. 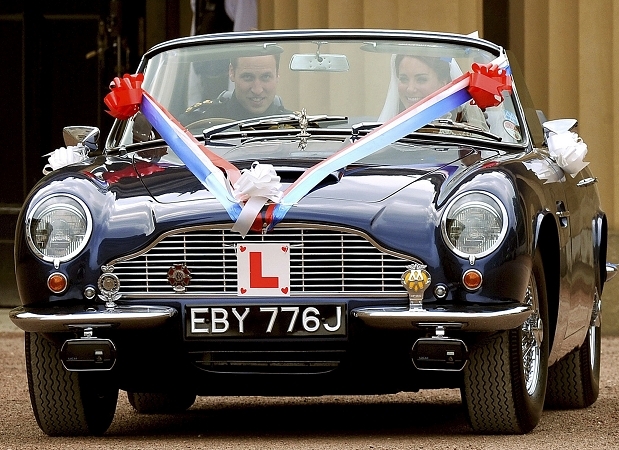 The vehicle was originally a 21st birthday gift to Charles from his mother , the Queen. 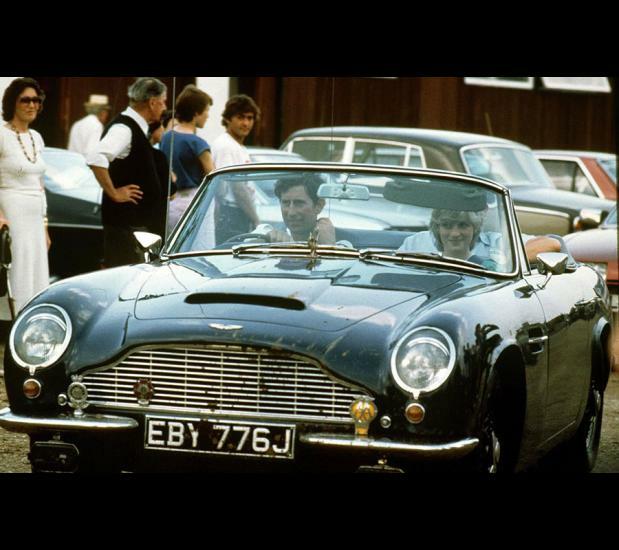 The vehicle was delivered in 1969, during the final year of DB6 production. Over the production cycle starting in 1965, only 140 convertible or “Volante” models were ever built. Under the hood, the Volante sports a DOHC 4.0L straight six, originally producing 282 HP @ 5500 rpm, with 288 lbs-ft @ 3850 rpm. With a curb weight of 1474 kg (3250 lbs) the Volante was capable of a top speed of 148 mph. 0-60 mph was clocked at 6.1 sec. 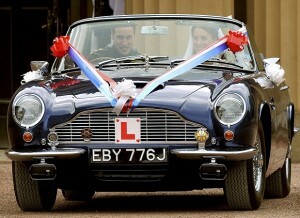 I say originally as the Prince had the vehicle converted to run on bio-ethanol E85 fuel. Even more interesting, the fuel is made from the excess wine from local British wineries. Wine used in the fuel production is regular drinkable wine, but deemed excess once the winery reaches its EU quota. Rather than be destroyed it is sent for conversion to a local bio-fuel producers. The E85 reportedly produces 85 percent less CO2 than regular gasoline. Seeing Prince Charles only drives the car an average of 500 kms a year, its not likely to single-handedly reverse Global warming. Nonetheless it is a statement concerning the viability of the fuel. Regardless of the green slant to this story, the car remains one of the highlights of the days festivities.